Single Lens Reflex cameras (SLRs) have been the mainstay of professional photographers and enthusiasts for decades. And for good reason. The image quality and shooting capability have always been the best you can get (in a reasonable size and price anyway). Single Lens Reflex is a nerdy way of saying what you see in the optical viewfinder is a live view through the lens. The image coming through the lens is directed up to the viewfinder via a mirror and a pentaprism (another nerdy word for more mirrors) and then through the optical viewfinder. It's great to know exactly what you are shooting. And it makes composing an image easier because you are not distracted by bright sunshine making it hard to see what's on the screen on the back of your camera, or by everything outside the frame when composing using the screen. Okay, that makes sense, right? So we're all good? Nope, not anymore we're not. Things change, usually for the better. Disruptive technologies (see my blog post on disruptive tech below!) have a way of making the good old way not so good anymore. And the SLR is the living dead of cameras. Why? I'm glad you asked. Electronic viewfinders, that's why! An electronic viewfinder (EVF), unlike single lens reflex and pentaprism, is exactly what it sounds like. Instead of a bunch of mirrors directing the live image from the lens through the viewfinder, the camera has an electronic image come from the sensor to an electronic viewfinder. So they can look a lot like a dSLR, but smaller, and lighter, and usually faster. And photographers like faster. Who wouldn't want faster? Why are they smaller, lighter, and FASTER!? Simply because the mirror takes up space. Get rid of the mirror and the camera can be made smaller and lighter. With an SLR, every time you take a photo, the mirror has to flip up out of the way so the light can reach the sensor. Snap! Then the mirror returns. The viewfinder goes momentarily dark. It's called viewfinder blackout. When you take a picture, you don't actually see what picture you took. You see the moment right before and the moment right after. And black in between. Since there's no mirror on a mirrorLESS (get it!) there is shorter screen blackout (or none), depending on the camera design. There are too many other advantages of mirrorless cameras to go into here, so I'll focus on smaller, lighter and faster. The key here is the electronic viewfinder. They've been around for years. But it's just in the past year or two that they've advanced to be good enough to replace an optical viewfinder on SLRs. And that is the moment when SLRs went from dominant to zombie. It's only a matter of time before SLRs become a niche camera. Here's how I know. I've always shot Canon SLRs. I have so much Canon gear that I (should) have a special seat at the table at their annual stockholder's meeting. So I'm kind of connected to Canon through my investment in their lenses (cameras are actually only about 1/5th of my investment in camera equipment. most of it is in lenses). I like Canon, but they're living in the past. They don't offer a good mirrorless option, instead focusing on bringing old tech to the market. Confession: I recently tried my first mirrorless camera (I feel like I'm cheating on Canon). The Samsung NX1. The NX1 is an amazing camera. It competes with Canon's new 7D Mark II. The 7D II is a nice camera, but it's already outdated. It was outdated two years before they released it. The image quality is great. But the NX1 beats the Canon at almost every spec. It's much faster frame rate, higher resolution, waaaay better video, smaller, lighter, and FASTER! And the NX1 is cheaper. Sounds great. But I didn't keep the NX1 and reluctantly bought the 7D II instead. Why, if the NX1 is so much better? Changing cameras isn't a simple as changing the brand of your jeans. For better or worse, changing cameras also means changing lenses. And as I mentioned above, that's a big deal, and Canon knows it. But besides the big lens change, the NX1 came up short in two areas...autofocus and behavior of the viewfinder. The autofocus on the NX1 is very good, probably good enough for 90% of what I shoot and 100% of what most people shoot. But the Canon autofocus is better. The second way the NX1 came up short was how the viewfinder is programmed to function. It's a really nice electronic viewfinder. It's so good it's easy to forget it's not optical. But for some strange reason, during burst shooting, Samsung has programmed the viewfinder to show a series of still images, instead of the live image. So essentially you see a series of photos that you just took. It makes tracking a moving subject (i.e. runner, snowboarder, or misbehaving child) very difficult. I have no idea why they would do this (Samsung...not the misbehaving child), and it's something that could be easily fixed in a firmware update, which to their credit Samsung is doing about once a month. I really liked the NX1 and wanted to keep it. But I just couldn't make it work for what I needed right now. So I'm not quite ready to switch to mirrorless...yet. But the 7D II will probably be the last SLR I ever buy, and I wouldn't be surprised if in a year I have switched to mirrorless. I get a lot of people ask me for camera recommendations and now I recommend a mirrorless. And I would recommend the NX1 without hesitation. I've also been recommending the Sony a6000. It's a smaller form factor mirrorless camera, but with amazing autofocus, resolution and frame rate. So the SLR lives on for now. But really, it's just a zombie and will be truly dead in a year or two. 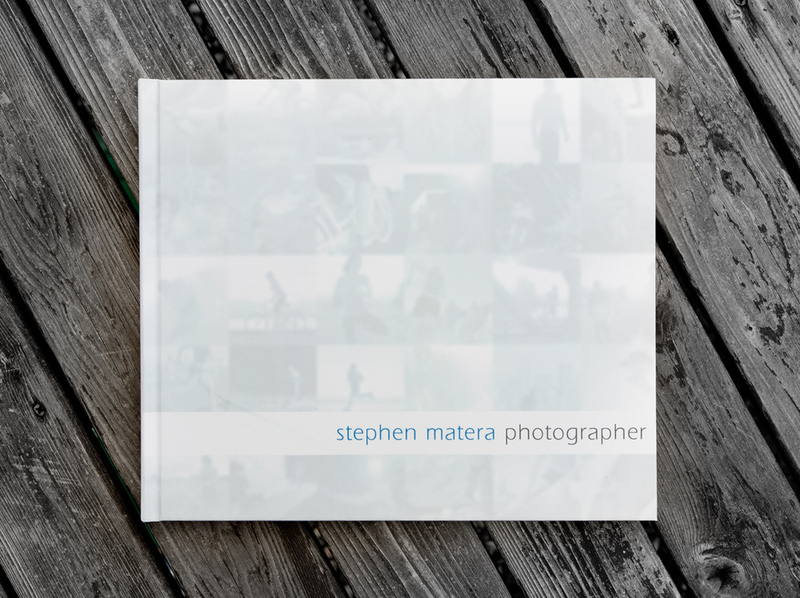 I've had my websites (www.materaphoto.com and www.stephenmatera.com) hosted through Livebooks for about five years. When I first signed on with them, they were the web host of choice for professional photographers. But a lot has changed in five years. Since then, web design has changed both in style and functionality. Livebooks has failed to keep up with current design standards. They offer custom sites at a cost premium. But there are many other hosting and design options available. My new site (which you're reading this on) is hosted through Squarespace. With its custom 'block design', Squarespace allows for me to build and customize my site by myself. I won't go into details about how it's done, but it's great, simple, and unmatched by other hosts I've looked into. Squarespace ranks very high in Search Engine Optimization also, which is hugely important to photographers. But what really made me decide to leave Livebooks was all the problems I've had with them in the past couple of years. A number of times in the past year, email was down for more than a day. They have ended phone based support. Any support requests are done through an online form and a response can take over 24 hours. That's not much help in an emergency. And sad to say the support people are clueless. In trying to switch over my web host from them to Squarespace, Livebooks support incorrectly told me they had no control of my hosting, which wasn't the case. I've found the Squarespace support to be responsive, generally well informed, and helpful. Livebooks' rates are also high compared to their competitors and design options are limited, old, or too expensive to make custom changes. The blog available through Livebooks is very limited, not allowing comments or for readers to subscribe to the blog. Squarespace isn't perfect. I've found a bug in their design where the image captions cover part of the image when the zoom level is too magnified (they acknowledged it through support). Changing web hosts and designs is a big deal. It takes months of work to redo a site. But Livebooks...old design, expensive, and poor support. What's not to like? As a pro photographer, I need to work with the best equipment I can to deliver the best possible images to my clients. I’m a Canon shooter and use all Canon L series lenses. The L series is the professional line of lenses that are the sharpest, most rugged, and weather sealed line of lenses that Canon sells. Even so, I tend to be very gentle with my equipment because I rely on it to work when I need it to. All my equipment looks almost new. And Canon delivers on all of that quality. Usually. The L lenses are as sharp as anything on the market…except for when they’re not. About once a year, I will have a lens that has a glass element inside that shifts and the lens gets soft (i.e. not sharp) at one or more focal lengths, usually on one side of the frame. I’ve had it happen to at least five lenses. It may be surprising to learn that even as the internet is the first choice for displaying photo portfolios, printed portfolios are still an important piece to have to share with clients. As you might expect, my online portfolio (aka my websites, www.materaphoto.com and www.stephenmatera.com) are the first place that clients go to look at my work. And for most clients, that’s enough for them to get an idea of if they like my work and want to hire me. ‘Nuff said. But in the commercial world, especially on the agency side, things are different. The online portfolio is only the first step in getting in the door. Often, there are also emails with electronic promo pieces, printed promo cards, and repeated phone calls to try and get through the din of all the other photographers. Of course, even with all of that, only the best work gets noticed by creative directors and art directors at agencies. When a good connection is made, an invitation is extended to come in for a meet and greet. You don’t get that invitation unless they like your work enough to potentially hire you to shoot for them. Once that invitation is extended, the meeting is largely about matching up personalities and getting an idea of how the CD/AD likes the photographer and how they think it would be to work together. Part of this meet and greet is also looking at a printed portfolio. An online portfolio is good way to introduce your work. Viewing a printed portfolio will give the CD/AD a better idea of the quality of your work. Often images that look good online won’t hold up well to printing. A printed image will show the technical flaws that an online image will hide. Often, the printed portfolio will have better color accuracy, depth, and sharpness than an online image, if printed well. With that in mind, I recently redid my printed portfolio. I redo my portfolio about once a year to keep it fresh. But beside the value in keeping an updated print portfolio, the process of going through and selecting images helps me clarify and understand my creative process and changes in style since the last portfolio. The creative process is so complex it’s easy for me to miss subtle and not so subtle changes in my images until I sit back and look at them all together. There are tons of great ways of printing a portfolio, including hand made/bound. I print my portfolios using blurb.com. I’ve used them for years and have been happy with the print quality, color accuracy, and turnaround time. I love the wraparound cover option and the new pearl finish paper is fantastic. It’s inexpensive enough to create specific portfolios for each time I meet with a client and tailor it to what I think they will like best. Searching the web for any information is like trying to drink from a fire hydrant. There is so much information available it’s easy to get sucked in and overwhelmed. Then you can get lost down the rabbit hole trying to sort through trying to filter the good information from the bad. I’ve spent enough time drinking from that hydrant and know where to go to get good information. The business model for photo based websites has changed. Everyone (including me!) is trying to pull viewers in with free content. There are different ways that this is accomplished, but in the end, there is a lot of good information to be had out there at no cost (and a lot of crap that they charge for). The one rule I had for this list is that everything had to be available for free (at least the first time it is available). Many of these are webinars. The great thing about webinars is if you miss them when they’re live, the hosts will almost always make them available to watch later. So here’s my list of sites I find useful for learning about photography. 1. Photoshelter – yup, Photoshelter. And I’m not talking about using it for hosting stock images. Photoshelter has some great downloadable pdfs and tutorials on the business side of photography. Sometimes what I read helps me to affirm that I’m doing the right thing to attract clients. Sometimes what I read makes me think I am stumbling blind through the photo business. Either way, it’s good stuff. 2. Creative Live – Creative Live has some fantastic courses/workshops online covering both the creative and business side of being a photographer. They’re free when you watch live. If you want to watch it again later, the courses are usually about $100. They’re usually 2-3 days long, all day, and often over the weekends. I rarely have time to sit through (or sit still) for an entire course. Often I’ll work on my desktop and have it playing on my laptop. As a working professional photographer, I still often learn a lot of new stuff. And other times I get validated in my way of shooting/running a business by hearing it from other pros. There’s a wealth of good information to get learned from Creative Live, if you have the time. 3. Accidental Creative – Articles and podcasts on maximizing creativity and overcoming creative roadblocks. 4. X-Rite Photo – Yes, the makers of X-Rite monitor profiling equipment have great photo tutorials also. Here’s one on post-processing for landscape photography that I found worthwhile. 5. ASMP – The American Society of Media Photographers. Even if you’re not a member, ASMP will have webinars and tons of great information available. 6. Livebooks – This is my web host. Yup, my web host has tutorials, information, and great blog posts with information to help photographers. Here’s one I’m reading now about social media for photographers. 7. Freelancers Union – Not geared specifically towards photographers, but some very helpful information about making it as a freelancer. 8. Agency Access – Agency Access is an agency that also provides email, direct marketing and consulting services to photographers. But, of course they also have some good ideas about working with clients available through their blog posts, The Lab. Notice a pattern here? Almost all of these sites are creating content (in this case trying to educational content) to bring potential clients to their site. Once you’re there, they hope you’ll buy something from them. Clever. But there’s a lot to be learned from these sites without spending a dime. Of course, they hope you’ll like what they have and buy some service or product from them. I’ve had this concept stuck in my head lately. It’s one of those concepts that sounds a bit strange at first but once you understand it, you see it all around you. Disruptive Technology is meant to describe any new technology that changes (or disrupts) the established business practice or human behavior. Now that you know what it means, you’ll see it everywhere. Personal Computers. Cell phones. The Internet. Smartphones. Facebook. Hybrid and electric cars. Some of these are more mature in their state of development but all have or will change the way we do things. Cell phones are well on their way to replacing land lines entirely. How many people do you know that no longer have a land line? Smartphones have become an almost essential part of a modern life. I recently left my smartphone at home by accident and felt like I was missing my right arm. Hybrid and electric cars are slowly becoming mainstream and will most likely (hopefully!) replace oil in moving us around. Facebook has changed the way we interact and stay in touch with friends and family (or do business). Okay, so you get it. Disruptive tech is all around us. But this is a photo blog. What does this have to do with photography? Everything. Digital cameras may be the ultimate disruptive technology. Everybody takes photos. We all used to use film to take photos. How many people are using film these days? Almost nobody. Maybe a handful of niche photographers and some reluctant holdouts. All the pro photographers I know are using digital. I haven’t shot a frame of film for s years. Digital is so compelling that it has completely changed the way professional and amateur photographers work. Okay, so what. What’s so disruptive about that? Tons. For starters, Kodak has gone bankrupt. Think about that. Kodak was THE establishment in the photo world. Not anymore. That business model is gone. That’s one obvious change. Here are some not so obvious changes. Journalism has been upended by the average Joe with their camera phone. Everyone has a phone with a camera now. Tons of events were missed in the past because nobody used to carry a camera with them all the time, including me. How many times have people documented something that would have been missed in the past with a big social impact? But digital has also made the photo learning curve much steeper. In other words, the instant feedback of digital allows budding photographers to learn from their mistakes much quicker. That instant feedback on your photos (to a degree, not completely) is an incredible learning tool. I’ve always said that photography uses both the left and right side of our brains…technical and creative. In the past, the technical part of photography has scared a lot of creative people away. Now the technology has made learning and shooting easier. People who can master the technical side still have an advantage but the bar is much lower than with film. This has had all sorts of unintended consequences. There are now more people trying to be professional photographers. And more amateurs shooting with dSLRs trying to sell their photos, or give them away just to say they can get published. Photo rates have dropped, especially for stock photos. Enter iStockphoto, the bane of professional stock photographers. iStockphoto has driven stock rates so low, many photographers who used to make a living off of selling stock have quit the business and moved on to careers that actually pay. Some photographers are in the strange situation where they are selling photos for well below the cost of making them, subsidizing the end user. I’ve seen Rights Managed photo sales through Corbis and Getty that are in the $1 range. You can bet it costs a lot more than $1 to take an image. And then there is the time involved in getting images edited and posted for sale. How much does that cost? Too much to sell for $1. But having more people shooting and selling has had a big net increase in the creativity of current photography compared to a few years ago. I can say personally that having new photographers nipping at my heels has kept me sharp and helped me push myself creatively. Luckily, I’ve never counted much on stock photography for income. Another change that digital photography has made is in tonal range. Pro shooters in the past would mostly shoot slides (or transparencies as we called them). Transparencies had a tonal range of about 5 stops from dark to light. This was a limiting factor in shooting, both in how and what could be photographed. The current batch of digital cameras has a tonal range of 8 or more stops of tonal range. This is a huge increase and has opened up a lot of creative options. In the past, any photographer who knew anything would avoid shooting higher than about 400 ISO (or ASA) film (journalists being the exception here). Film at high ISOs became so grainy as to be worthless. The best cameras now have ISOs up to 100,000, with very usable results up to 12,800. Again, this gives photographers the ability to shoot things that were just not doable with film ‘technology’. Living in the Northwest, I find myself shooting fast sports in dark rainforests a lot in the past few years. I couldn’t have done this five or six years ago because the high ISOs necessary were too noisy. Great high ISO performance is a big reason there are so many photogs out there shooting those amazing star images, another creative option that wasn’t available 6 or 7 years ago. Probably the newest change in digital photography is the high quality HD video coming from dSLRs. Canon introduced Full HD video in the 5D Mark II for photojournalists. It’s had the unintended consequence of creating an entire new way of shooting video, and it’s been a wildfire of budding and very creative videographers ever since. All new industries are popping up to support video from dSLRs. I know videographers who are changing formats because their clients are demanding the beautiful shallow depth of field look from dSLR video. Photographers (including me) are now wading into or and becoming big players in the video market (see Vincent Laforet). I’m a parent and have learned that with kids, the only thing that stays constant is change. We are lucky to be living in a time of constant technological change. But as creators, we need to adopt and adapt technology or be left behind. I was an early adopter of the new 5D Mark III (or Mark 3) back in April of this year. So I have had a decent amount of time to shoot with it and find out where it shines and where it comes up short. The quick summary of my experience is that it is the best camera I have every used, but it does have room for improvement in a few areas. When I bought this camera, I planned on using it only for my slow sports (i.e. hiking), lifestyle and landscape shooting. As it turns out, I’m finding the AF is so good that I’ll use it for some fast sports shooting (trail running, mountain biking, etc) when in the past I would pick up my 7D or 1D cameras. The improvement in AF accuracy compensates (sometimes!) for the slower frame rate. At 6 frames per second (fps), it’s not as fast as I would like and I’ll sometimes miss the ‘in between’ shots that a camera with a faster frame rate will get. But when I’m shooting a sport that I can have an athlete repeat if I miss the shot, then it’s my camera of choice. As good as the 7D cameras AF is, the 5DIII is noticeably faster, more accurate and customizable (with some caveats below). I won’t spend any time talking about specs of this camera. There are lots of places like here that you can find that information. This review is about my impression of the usability and functionality of the camera. Autofocus: Let’s start with the biggest change in the Mark 3 from the Mark 2. I could write something sarcastic like ‘Canon forgot to put AF in the 5D Mark 2, but they definitely didn’t forget it in the Mark 3.’ But that’s not my style. Let’s just say that the Mark 2 AF was a big disappointment and to me (and many other photographers) and that I have spent many moments swearing out loud (or grumbling under my breath in front of my kids) about how lame the AF is in the Mark 2. The Mark 3 AF is so improved that my kids will no longer think I can’t complete a sentence when I’m taking pictures. The autofocus is fast and accurate…if you know how to use it. If not, it’s just fast. I’ve found it works best for me when I select one focus point only, knowing exactly how I’m going to compose my shot. The cross pattern selection option I find usually front focuses on something I don’t want, so I generally avoid it. The option to select 9 AF points in a square arrangement works well for tracking large moving subjects. Finally, I find the AF option that selects all 61 AF points fairly useless for me. The algorithm on just about any autofocus system it to focus on closest object. I rarely will compose to emphasize the closest object in the frame. I shoot often with the 50mm/1.4 or 85mm/1.8 lenses, which have very shallow depth of field. I have yet to find a camera that can focus those two lenses consistently accurate. But the Mark 3 is really good at doing just that. So much that I’ve even shot running photos with the 85mm/1.8 wide open. Astounding. What’s not to like about the new AF system? Not much but there is one thing that still needs work…expanded coverage of the image frame. The AF points are still clustered too closely to the center of the frame. My style of shooting is to put subjects towards the edges of the frame. With a moving subject or a shallow depth of field, prefocusing and recomposing is not an option. Also, I shoot a lot of backlit scenes and find the AF loses a lot of its advantage. I hope you’re listening Canon! New screen: It’s gorgeous. In fact almost too nice. I’m really nitpicking here. How can I be complaining that the screen is too nice? I often find the screen makes my images pop more than my high end LaCie monitor that I edit on. I know that part of the reason for that is the picture style settings in my camera. I edit in Photoshop, which doesn’t see Canon’s picture style settings. That’s responsible for part of the difference. But the difference is also because the way the screen displays saturation/contrast. But the screen is very sharp and bright. It’s more useable in bright daylight than any screen I’ve used before, which to say that it is useable but still not easy, especially on a sunny day in the snow. One thing that Canon did that for me is a simple yet huge improvement is to give a white border around the levels diagram when reviewing images. In the past, it was a black background on the levels diagram against a black screen background, making it impossible to tell where the top and bottom ends of the levels were, especially when viewing in bright sunlight. Speaking of reviewing (or chimping) images, Canon has changed the zoom feature on image review. In the past, there were two buttons on the top right of the camera whose function was dedicated to zooming in/out. This was fine although a bit cumbersome (push and hold or push, push, push to zoom in). Now, there is a dedicated zoom button on the left of the screen. Push it once to enable zooming. Then use the shutter dial to zoom in/out much faster. This took a little getting used to but I do like it better if for nothing else it’s much faster to zoom all the way in. The only drawback for me is that when I switch cameras (often during a shoot), when I chimp, I forget which one I’m using and fumble around for a few seconds until I remember which camera I’m using. Chalk that one up to operator error. Image Quality: As good as it gets, really. Slightly improved over the Mark 2 but that was the best thing about the Mark 2. 22MP is a lot of resolution and my clients will regularly make wall size enlargements (for trade show booths) that look amazing, even up close. The level of detail is incredible for a 35mm sensor. Auto Exposure Accuracy: I always found the auto exposure metering in the 5DMark2 to be wildly inconsistent. I had hoped that the metering accuracy on the 5D3 would be better but after a day of shooting a paddling race mostly in aperture priority, I’ve found the meter to consistently underexpose but exposure values will change too much from frame to frame, even with consecutive frames of the same composition, as shown in the the kayaking shots here. High ISO Noise Performance: A big improvement over the Mark 2, which was pretty good. In the past, I would reluctantly shoot 1600 or 3200. If I did, the exposure had to be spot on or adjusting in post would add noise. With the Mark 3, the noise performance at 3200 is really good in stills and astoundingly good in video. Living and shooting in the Pacific Northwest, I find myself shooting fast sports in dark, mossy forests all too often. That’s when the combination of good AF and high ISO performance really come together to make many shots possible that I would have not even tried just a couple years ago. Live view : I’m finding I use this more and more with the 5DIII. Maybe it’s because of the improvement in screen quality and size. I wish there was a way to remove the white box showing the zoom area when in live view. Maybe there is and I haven’t found it yet but I find it intrusive when I don’t want it. Nit pick warning: The bigger screen makes my loupe worthless for using on the 5DIII. I can still use it on the 7D but will need two different size loupes until the came out with a 7DII with the bigger screen (rumored for 2013!). Light Leak: I stumbled on a light leak in my Mark 3. There is a known issue for a light leak from the top LCD screen light that Canon has fixed but mine is different. The problem on my Mark 3 is light leaking onto the sensor from light entering the viewfinder during a long exposure at high ISO. It’s not a problem for most shots. But on long, low light exposures, I found the red light on the back of the camera will reflect off of my face/shirt and into the viewfinder if I’m standing near the camera during a long exposure. I’ve done tests to confirm this. I haven’t sent it back to Canon for service yet but I’ve never seen this in any other camera. Miscellaneous small stuff: I like the rating button, especially since it translates into Photoshop. This is a big time saver when editing. Aesthetically, this is a very solid camera. The sound of the shutter is very solid sounding and strangely satisfying. I’m sure a therapist would have some thoughts about why I find it so satisfying, but that’s for another blog post. Wish list for the Mark 4: Nikon has had built in interverlometers for a while. This is a no brainer for a $3,000 camera. It’s all software and no extra hardware should be required. With the high quality high ISO noise performance, so many photographers are shooting night scenes now that an interverlometer should be included. A faster frame rate of 8fps and this could be my one camera for everything. But I’m sure Canon knows that and wouldn’t sell many 1Dx’s if they did! Summary: As I reread this before posting, I think I sound pretty negative about the 5D3. But I’m not! A good review should point out the flaws and not just praise what’s being reviewed. The 5D is the best camera I’ve every used. But there is still lots of room for improvement. We’ve all seen lists of gear that photographers use when shooting. It’s a myriad of lenses, filters, camera bodies and lighting equipment that can be mind boggling. Smartphones are now an essential piece of gear for photography. And I’m not talking about using your phone to shoot photos. I’m talking about all the apps that I regularly use when I’m shooting. Many of these have replaced old hardware and put it all in one portable device. Below is a list of my favorite apps. FYI I’m using an Android phone (I managed to achieve escape velocity from planet Apple) but all of these apps are also available for iPhone. 1. Easy Release – Model Releases are important to get the most out of every photo I shoot. Easy Release has been around for a few years and is accepted by stock agencies. Forget paper model releases, this is the way to go. The model, photographer, and a witness all sign the release on the phone. It can add a photo of the model in the release then email a PDF to the photographer and the model. It’s so easy that I’ve done model releases in the tent at the end of a day of shooting in the alpine. It just makes getting a model release so much easier. Android version here. 2. DOF calculator – This app will give you precise depth of field information for the camera, focal length, and aperture you are using in a quick look up table. Android version here. 3. Smart Compass – When shooting landscape photos, I need to know where the sun will rise and set to anticipate the light. Android page here. 4. Angry Birds Star Wars – just kidding. This one is for my kids. Really. 5. Dolphin browser – I like this better than the native browser app for Android. It has tabs and I like the swipe motion to bring up favorites. As an outdoor photographer, accessing weather information when I’m shooting is essential. Android version here. 6. Avalanche Forecast – I haven’t used this one in the field yet since it just came out for Android. But this will be a very useful tool when I shoot in the backcountry…which should be very soon. The app aggregates avalanche forecast information from all avalanche centers in the US and Canada. Check it before you head into the backcountry, then it will cache the information when you lose your data service. Android and iPhone. 7. Instagram – of course. No explanation necessary. Android version here. 8. Photo Editor – I rarely will edit anything on my phone, but if I do, this is what I use. Android version here. 9. Sundroid – Great for landscape photography. It will give sunrise/set and moonrise/set information for any location in the world on any date. I use this all the time. Android version here. 10. Tide Chart – Again for shooting landscape images, it will give tide information for any number of locations and date. Android version here. 11. Swiftkey – This isn’t a photo app but will increase your productivity if you use your phone to email or text a ton. It’s a keyboard app (not available for iPhone!) that not only predicts the current word you are typing but will suggest the next word you want. It learns your typing patterns and words you use a lot and it’s an incredible time saver. It also has swipe option. Android version here. 12. Aurora Buddy – Do you want to photograph the northern lights? Then it helps to know when the Aurora Borealis will be making an appearence! This app will tell you how likely it is to appear in the Northern sky. Android page here. 13. Google Earth – A great tool for trip planning. The smartphone version isn’t the full version of a desktop but still is great to have handy. Android version here.